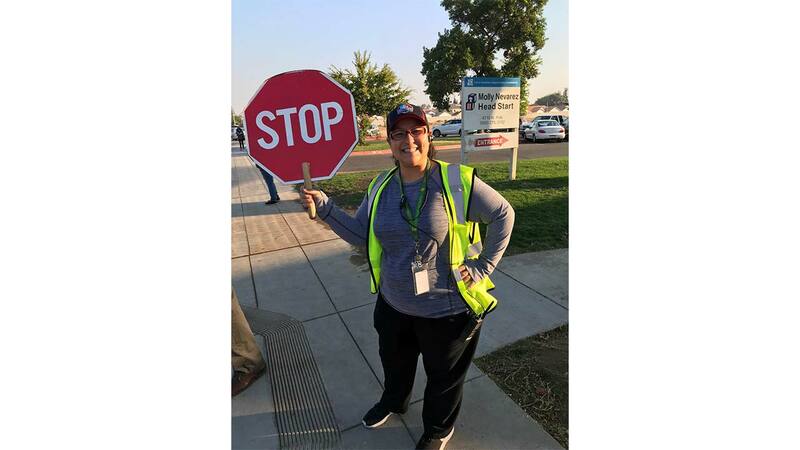 FRESNO, Calif. -- A morning crossing guard at Teague Elementary in Northwest Fresno has been nominated for a very special award. Adela Ruacho is nominated for America's Favorite Crossing Guard Award. It is a worldwide campaign launched by Safe-Kids and Fed-Ex, meant to raise awareness about the contributions that crossing guards make to protect children. Ruacho was nominated by her co-workers at Teague Elementary who say that she is outside every day rain or shine -- making sure all students get on campus safely. If you'd like to vote for Ruacho you can visit the Safe-Kids website.